Getting treatment for varicose veins is not just about looking better, nor is it an issue reserved just for women. In fact, pain and swelling in the legs comes about more often when there’s a heavy load to bear, so it happens a lot to men who are labourers, tradesmen or those who spend a lot of time on their feet. At The Vein Institute, we deal with many genuine health concerns. 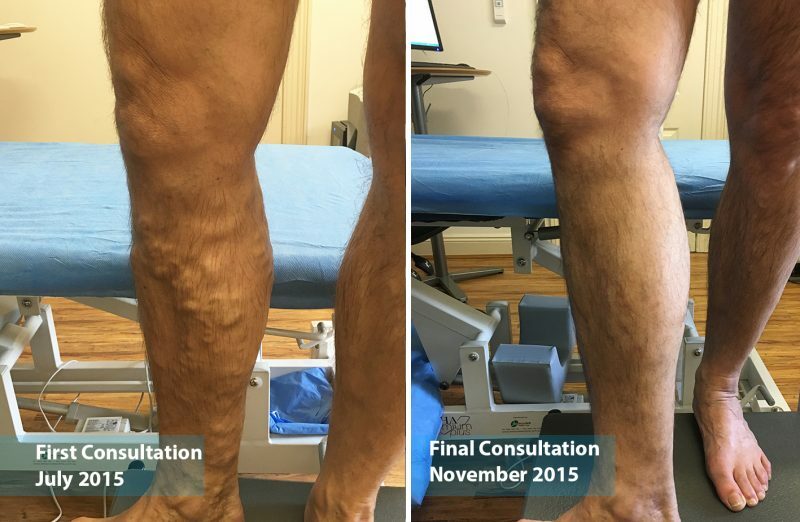 Men's leg symptoms range from aching, tired legs, swollen ankles and unsightly veins, through to the prevention of more serious problems that can arise when varicose veins are left untreated such as ulcers or pigmentation. Usually the larger the veins are the more likely they are to cause concern. 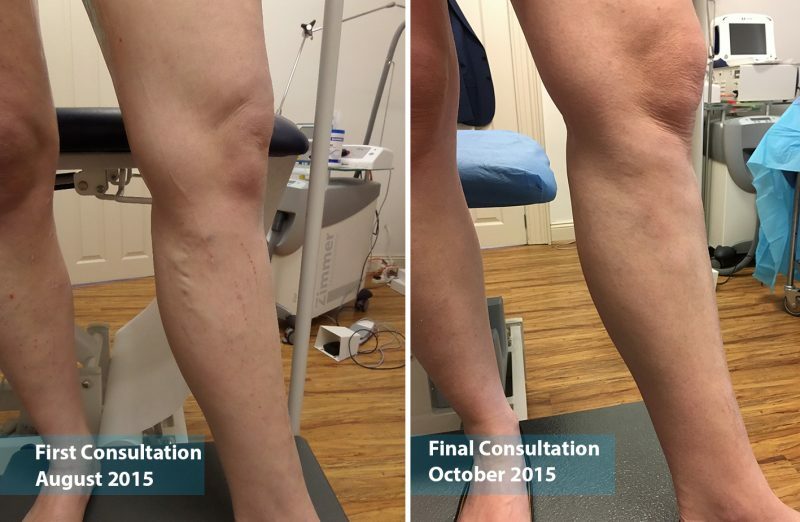 The result shown in this picture is after 3 treatments at Vein Institute using a combination of Endovenous Laser Therapy and Ultrasound Guided Sclerotherapy. Varicose veins in left leg. Counselling, vascular scan, two sessions of ultrasound guided sclerotherapy. It is an important aspect of men's health, Australia-wide, especially when you consider that around one-third of our population suffers from this condition and that in some cases, it can lead to very serious health issues. Procedures can be carried out in as quickly as an hour – in the clinic not a hospital - if treatment is suggested after your first consultation. While treatment may not be necessary in every case, we always recommend that you discuss your varicose vein condition with one of the doctors at The Vein Institute. Seeing one of the doctors at The Vein Institute will help you understand the extent of the varicose vein problem and see if there are any other underlying medical issues. During your first consultation, one of our doctors will take a full medical history from you. We will also take a ultrasound scan of the legs affected by varicose veins. Afterwards the doctor will outline the necessary treatment to remove your varicose veins.